Vitally's Segment integration allows you to sync your Segment data into your Vitally account in real time. When fully configured, you'll be able to run reports on your Segment data from within Vitally and track your product's features and metrics with tools like Elements and Success Metrics. Navigate to the Segment integration page within Vitally's Integrations list. This can be found in your Account Settings in Vitally by navigating to the Integration catalog. Heads up! Once Segment is configured, it could take a few minutes before we receive any events. 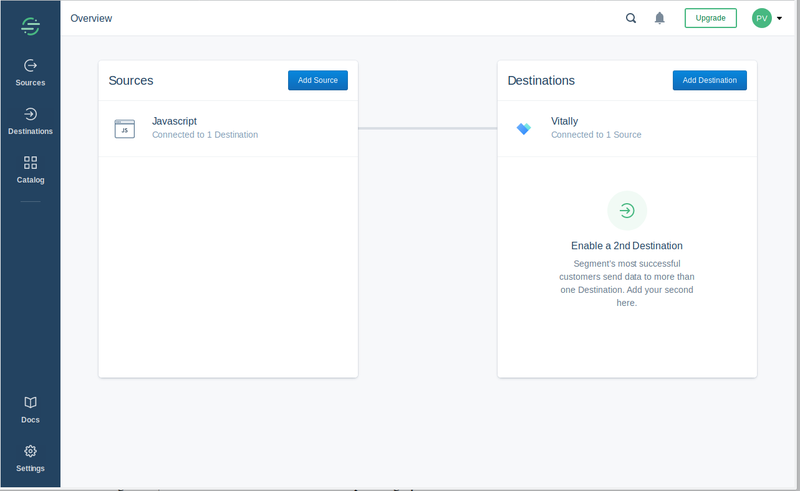 Be sure you have active users generating Segment events after the Vitally destination is configured to ensure we receive recent data from Segment.